You’re ready to get into the rapidly growing field of nursing, but you’re not sure what the best route is if you already have a bachelor’s degree. If you have a non-nursing bachelor’s degree, you can get involved in this industry without earning a second bachelor’s degree in nursing. In fact, you could move right into a graduate program with direct entry MSN programs. These programs blend education theory with plenty of hands-on practice. Keep reading to learn more about what types of accelerated programs may be available for you, what direct entry MSN programs are and who they’re good for as well as the admission requirements, length of study, and specializations you may expect with a direct entry MSN program. Direct entry MSN programs, also known as accelerated programs, were designed for those with non-nursing bachelor’s degrees who want to join the field of nursing without needing to earn another undergraduate degree or a BSN. This type of Master of Science in Nursing program allows professionals with experience in another field a direct way into graduate-level nursing courses to save a lot of time and money on your education. Those looking for a career change that are interested in nursing may find a lucrative career, as nurses with an MSN are desired hires in various healthcare settings. During the first year of an average direct entry program, you can expect to take a blend of bachelor-level nursing classes and move on to graduate courses and electives geared toward the specialization you choose. 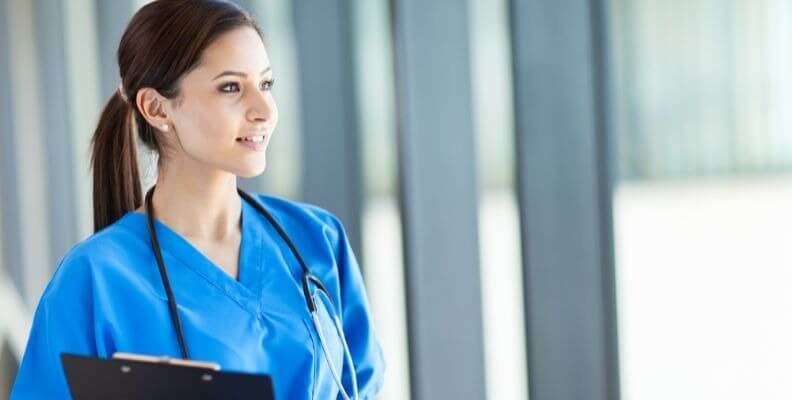 While many nursing students take a traditional route where they first earn their BSN, work as an RN for a few years, earn their MSN, and move toward a higher position, there are also many ways to join the nursing field. MSN bridge programs – A bridge program allows RNs with an associate degree to earn both their BSN and MSN at the same time. Many programs distribute course credit in exchange for RN experience, which helps students complete their master’s degree faster. Accelerated MSN/NP programs – Similar to a direct entry program, accelerated programs are a form of advanced nursing programs. The main distinction between an accelerated program and a direct entry program, however, is that the term “accelerated” is used to indicate applicants already have an RN license. Schools often use the term differently, so it is important to read the program’s requirements thoroughly. However, if you don’t have a bachelor’s degree or still want to earn your BSN to begin working as a nurse faster, you can finish an accelerated BSN program in 16 months. If you want to pursue a career with an advanced specialty, you need to earn your MSN. Who are Direct Entry MSN Programs for? If you have a bachelor’s degree in a field other than nursing but want to continue your education to earn a graduate degree in nursing, this program is for you. Some programs may require applicants to earn their RN license, but many don’t. If you’re looking for a career change, a direct entry program may allow you to become credentialed and working as a nurse practitioner in as little as two years. Many applicants seek to find a career in an advanced nursing specialty or leadership role. This program is not for registered nurses, however, so certain MSN specializations may not be available to everyone. Some specializations, such as a Certified Registered Nurse Anesthetist for example, require a couple years of critical care nursing experience. How Long are Direct Entry MSN Programs? With recent demand for healthcare professionals, this accelerated program may help you enter the work force quicker. Because direct entry programs are designed to help you catch up on the nursing requirements many traditionally learn in a bachelor program, you will learn quicker. Such programs may be completed in as little as two years. In addition to researching the costs, hours, and other practical aspects of your direct entry degree, you need to decide which nursing specialty you want to pursue. All direct entry MSN programs are tied to a specific nursing focus, so you need to know which area of nursing you want to get into before you pick a program. As you investigate, you will find that there are many different settings and areas of nursing that you can choose from. Below are some of the most commonly offered MSN specialty tracks. When looking for a school, be mindful of which programs offer the focus area you are interested in and don’t be afraid to obtain information on a wide variety of specialties. You should also be aware that some specialties, such as CRNA/Nurse Anesthetist, require specific clinical and work experience, and may not always be available for direct entry MSN students. The curriculum for your direct entry MSN degree will change depending on the specialty you choose. Most direct entry MSN programs cost more than if you had gone the tradition MSN program route. However, when you consider the time and money you saved by not first earning a bachelor’s in nursing in addition to your degree in another field, you save. Tuition costs vary from state to state. If you want to take classes out of state, you may also encounter higher tuition fees. College and universities across the country typically offer their own financial aid and scholarship options to their students. Many direct entry masters-level programs offer extra funding while others offer the traditional subsidized and unsubsidized Stafford student loans. On the other hand, some schools may classify you as a second-degree undergraduate student for the first part of your direct entry program, which means you get federal loans at the undergrad maximum rate until you reach the graduate portion of the program. Scholarships and loans will have various requirements, so it’s important to talk to your school’s financial aid department and compare rates. After completing your MSN program, you may want to focus on what your career will be like. You now qualify for new responsibilities, and you may feel ready to design your work career. In addition to considering what setting and specialty your career path will follow, upon graduation you’ll want to think about nursing exams and licensure in your state. Obtain a letter of validation from the college where you completed your education. Apply for and pass your exam for state licensure with your state’s Board of Nursing. Both the ANCC and AANP have sample testing materials to help you study. There are also various NCLEX review courses you can take either online or in-person. Pass the National Council Licensure Examination (NCLEX-RN) if you have a bachelor’s degree in another field and aren’t an RN in your state yet. Each state’s board of nursing uses this standardized exam to determine if you’re ready for nursing practice. Complete any certification for your specialty organization. Nurse midwives, for example, must pass the American Midwifery Certification Board exam and nurse administrators must become certifies with the American Nurses Credentialing Center. Your MSN program should prepare you for this. Start applying for jobs and prepare for job interviews. If you want a job soon after graduation, you should start applying 3-4 months before you graduate because it can take a while for your licensure applications to be considered. Otherwise, you’ll want to begin job hunting while you study for your exams. Some states also require advanced nurses to complete a certain number of continuing education courses every few years, so you’ll want to stay up to date on policy changes and requirements after graduation. Think about heading back to school to complete your PhD in order to teach nursing at a college or university. Since nursing is such a wide-open field, there are many career options you can choose after completing your MSN. If you choose a specialty that leads to a career as a nurse anesthetist, nurse midwife or nurse practitioner, for example, you may make an average salary of $110,930 per year (BLS, 2018). These positions require a master’s degree and are expected to grow 31% by 2026, which is much faster than average (BLS, 2018). Salaries often vary by setting too. In fact, a nurse anesthetist in an outpatient care center can make an annual mean wage of $194,440 (BLS, 2018). Nurse practitioners that work in the office of a physician can also make an average salary of $105,730 whereas those in outpatient care centers bring home $111,690, according to the Bureau of Labor Statistics (2018). These are some of the more common nursing career options. Keep in mind there are growing opportunities in nontraditional nursing areas as well. Of course, the career options available to you depend on where you live. While most cities have a wide variety of healthcare facilities, not every nurse has a large hospital or countless outpatient settings within commuting distance. 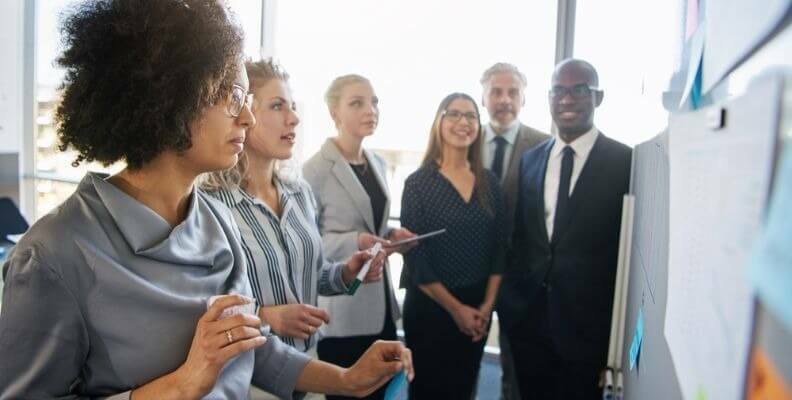 Compare curriculums of the programs you like the best and make sure they line up with what you want to learn, especially if you have a specialty in mind. Check the school’s reputation and make sure they’ll provide you with great clinical experiences. If you work a full-time job, you may want to reconsider the number of hours and scale back to 10 hours/week while attending courses. Ask students in the program if they’re working and check in with the school to see if they recommend focusing only on the intense coursework. Is the tuition cost of the school desirable for you? Consider how you will pay for your education and how much you can afford. Check the school’s licensing requirements and choose a school in a state you desire. Some states may require more than others or pay better, so it’s important to let your future weigh in. Can you transfer credits to another school in another state if you need? If you want to teach at a university or conduct research, find out if your direct entry MSN program allows you to easily continue your graduate education and earn a PhD. Pick a specialty that’s right for you. If you want to work in a calmer setting than the emergency room and desire to build long-term relationships with your patients, for example, specialties like Geriatric Nursing and becoming a Family Nurse Practitioner may be suited for you.